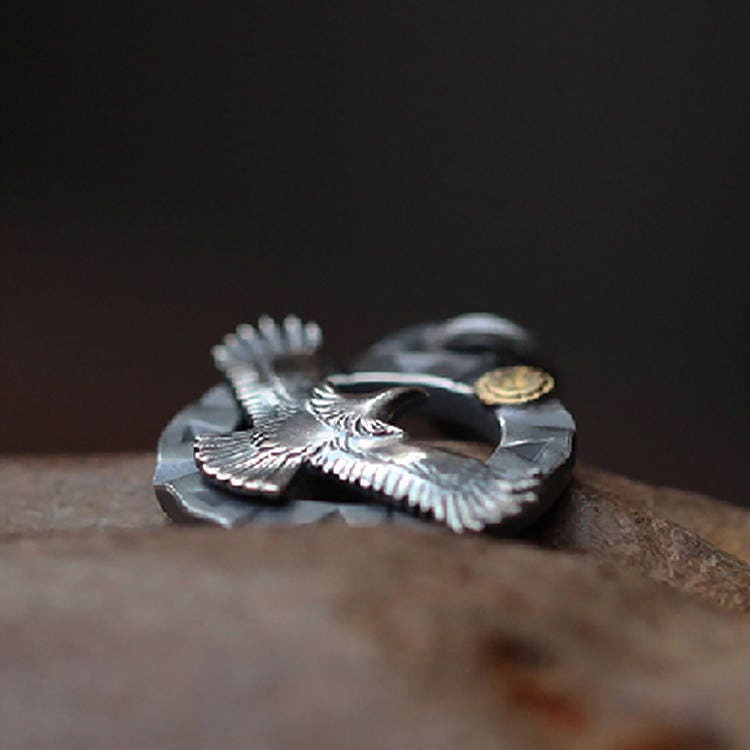 The silver eagle pendant is a bold design, inspired by Native American motifs and jewelry designs. 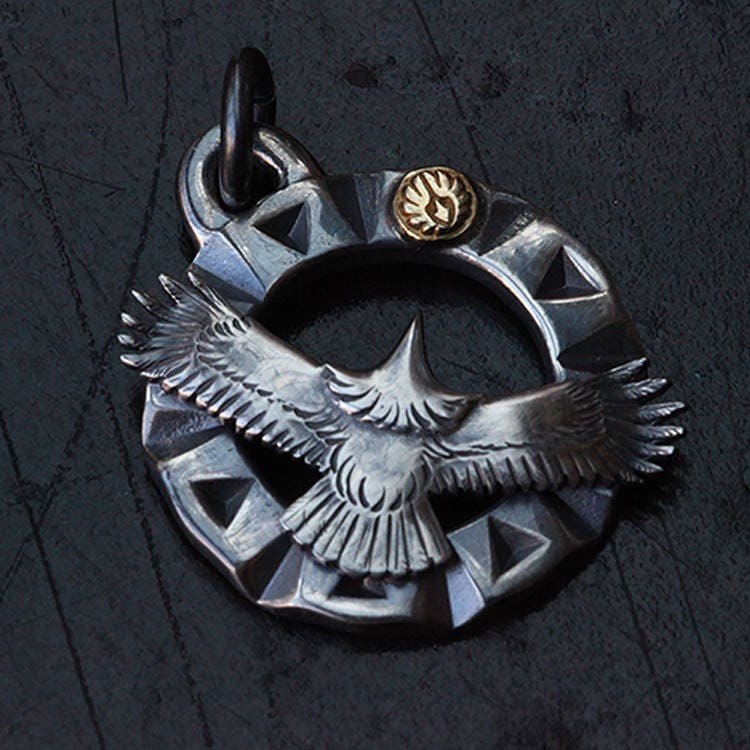 A silver eagle on the face of the geometry circle is the centerpiece of the pendant. 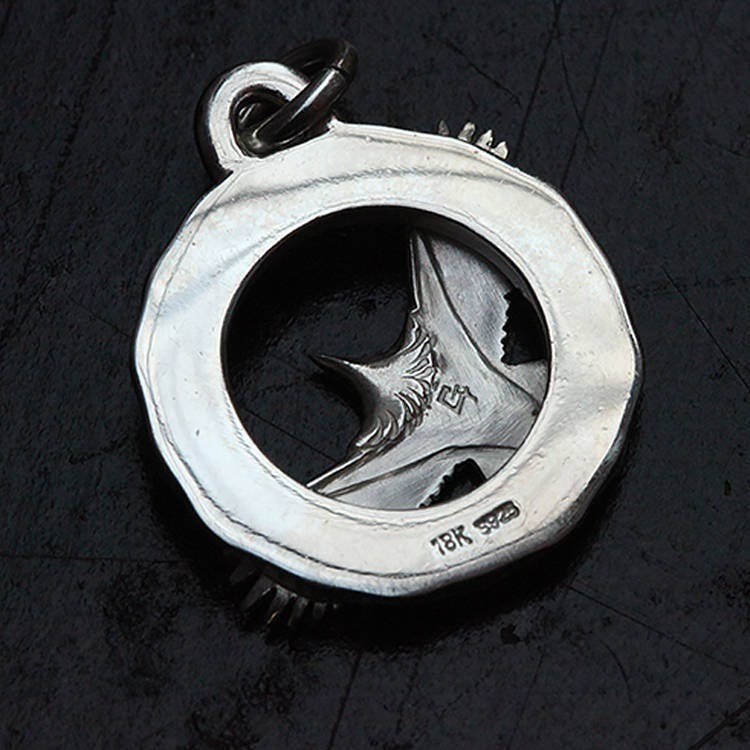 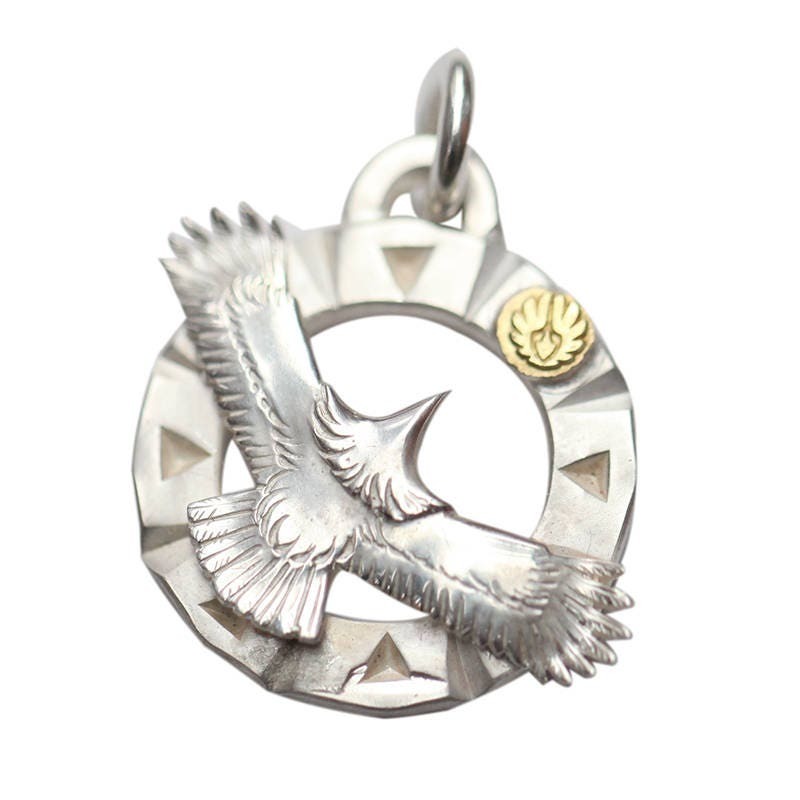 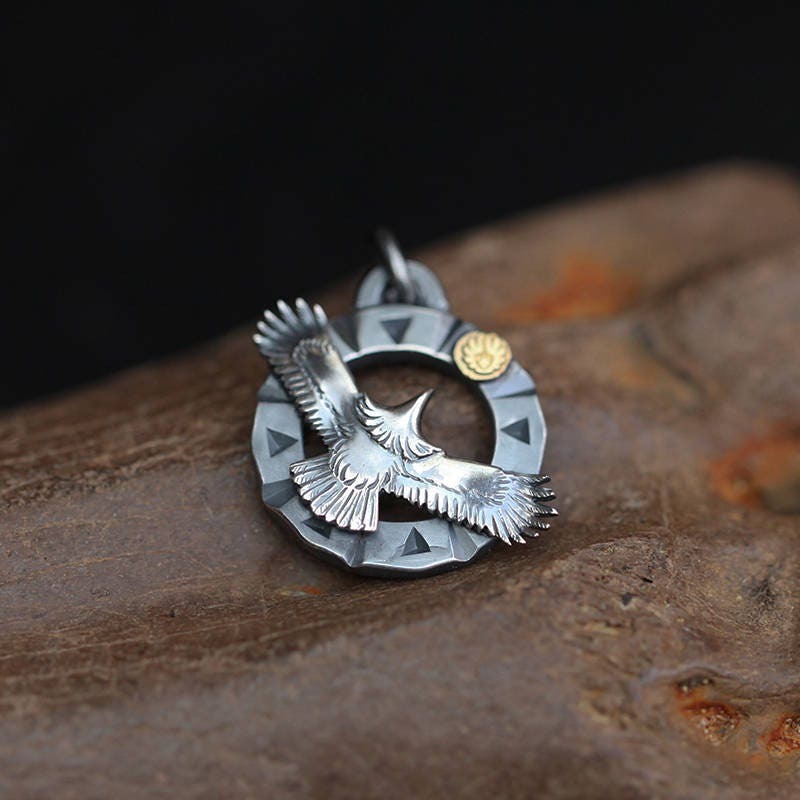 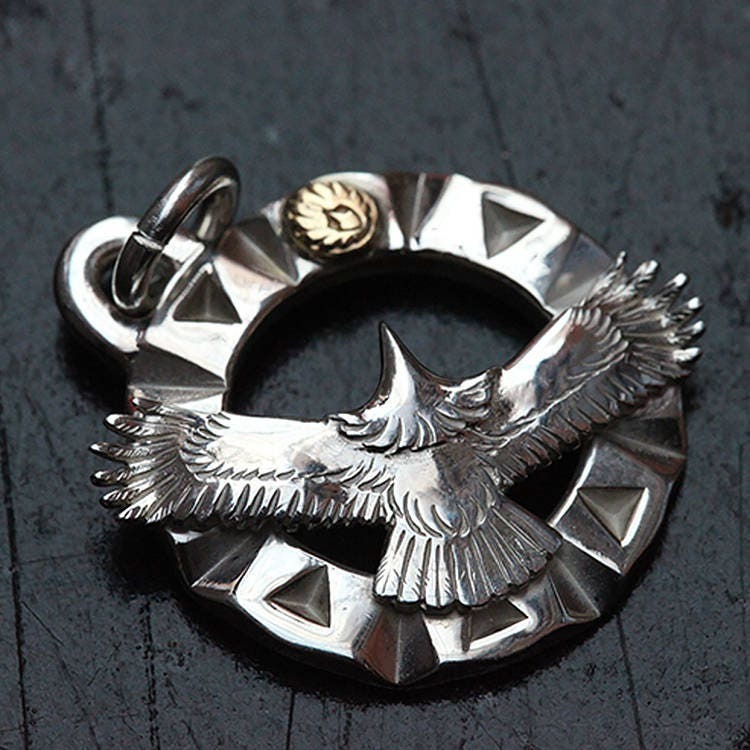 The eagle is crafted separately and then attached to the silver circle. 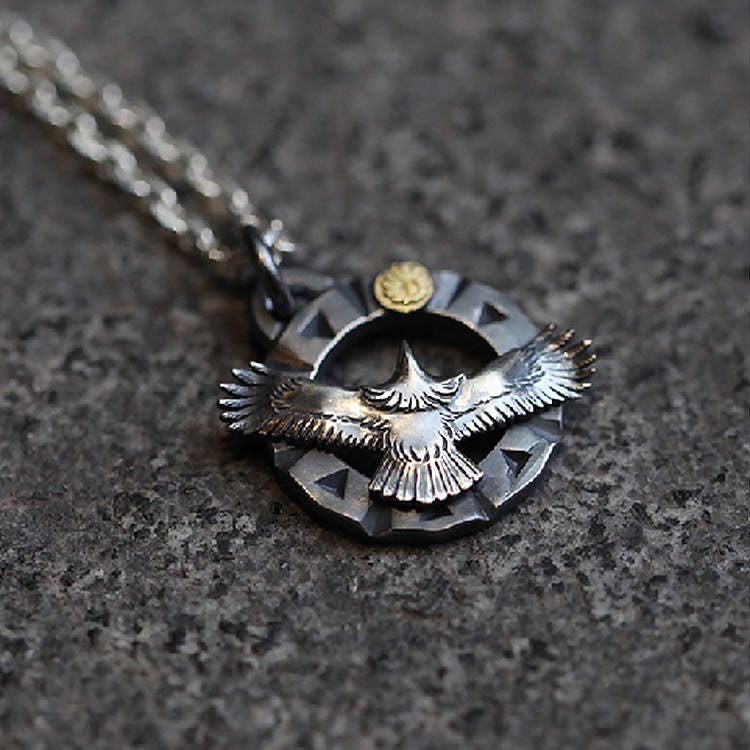 Available in two finishes: original polished and vintage oxidized. 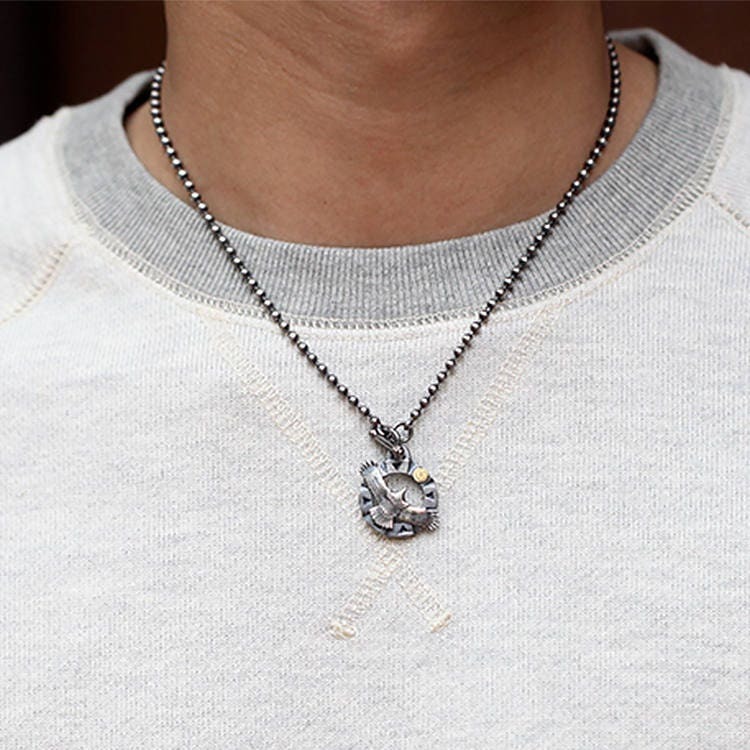 We can help you personalize the pendant by engraving on the back of its circle - refer details below. 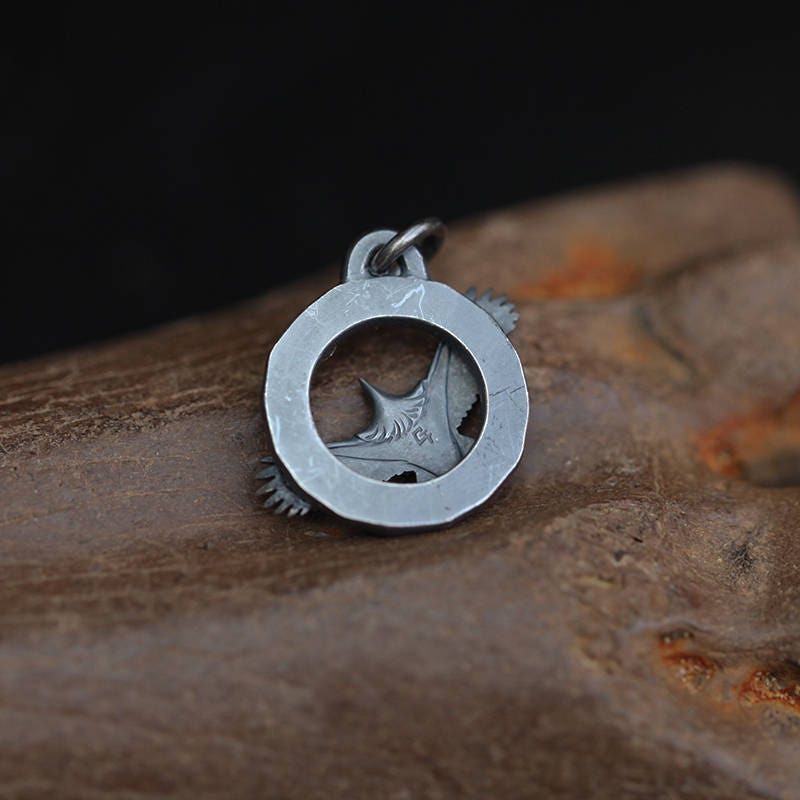 Comes with a 1.6*8mm ring.